The art of creating flower arrangements to make something unique takes a great degree of skill. For someone to excel in this art it is advisable to attend a floral design school. Such schools offer their students an opportunity to learn more about different floral designs and the know how of creating floral arrangements that are long lasting and those that stand out from the crowd. In order to become a professional in field you need to attend and complete a course in a floral design school. This academy offers prospective students lessons and classes in American and European flower designs and also educates students in the art of funeral and wedding decorations as well as general flower arrangement. It serves people in the greater San Fransisco bay area and the Silicon valley. This school gives interested parties an opportunity to undertake beginner courses if flower designing is something they want to start out with. The school also offers classes where one can specialize in one field. Chris Giftos and Micheal George who are specialists in this field are at hand to offer these specialty classes. Prospective students will be happy to know that there is a video demonstration on their website that one may look up. This institute is the best place for someone who wants to become a professional in the filed of designing flowers. In the same light it is also an ideal place to study for someone who loves arranging flowers as a hobby and wants to make their skills sharper. It has campuses in Washington, Seattle, Oregon and Portland and education can be done via distance learning. Detailed descriptions about the courses, staff and schedule are provided on their website. It also goes by the name AIFD and it is mainly a non-profit organization whose sole purpose is to promote the art of flower designing. It offers educational programs, courses and they also hold symposiums to educate interested people in the art of flower design. Located in the State of Ohio is a certified institution that offers detailed educational programs that last three weeks. The main focus is usually in the art of flower designs and the business of running a flower shop. Students who choose to go to this school will benefit greatly from professional guidance, a detailed syllabus and discussions with people who share a common interest. The best place for a student who wishes to express themselves creatively and those that love to work with their hands. There are plenty of reasons to enroll in this college. On completion of the course you will emerge a well rounded individual with skills in flower design and educated on the broad fields of the environment and floristry. This school offers prospective students full time classes and evening classes for those who cannot attend the full time courses. Courses taught in the school include flower shop management, general designs, wedding designs as well silks. Looking through their website you can get detailed course breakdowns, the schedules and how to register for classes online. This college is located in Bethpage in the state of New York. it offers a floral design certificate program. Is the ideal course for people who love arranging and designing flowers as a hobby and people who want to become professionals in the field. Located in New Orleans this school offers up to date classes in the field of retail floristry. The courses are very detailed and on the website you can find information on the schedules and how to enroll for the courses. Located in the state of New Jersey, this school offers a licensed program offering basic lessons and advanced lessons for interested parties. Information on the website will give you information on the basic and specialty courses, the curriculum one is expected to cover and the schedules. Courses taught in this school include flower design and the art involved in the same. The courses are available for students within New York, Chicago, Los Angeles, San Fransisco, San Diego and Minneapolis. Once you choose to enroll in this school you will be happy to know that you will have access to education on different floral art designs, flower arrangement lessons, and lessons in the industry. The lessons are taught through theory and visual aids in the form of colorful pictures. The school is located in Colorado and it offers a comprehensive programs for beginners and people wishing to pursue an advanced course. Is the ideal course to pursue if you want to improve your flower design skills and become a professional in the field. You can get additional information about the instructors , the courses provided, the policies, schedules and how you can register online. The school is located in the state of Florida and is licensed to offer courses in floral design and art. The offer a comprehensive curriculum that covers a wide scope of areas and students who graduate from the school will emerge as well rounded masters in the field of designing flowers. The school offers a lot of training and instruction for students who wish to undertake flower design as a hobby as well as those who want to do it as professionals. All lessons are taught by seasoned professionals who have been practicing in the field for many years. You can therefore learn a lot about how to practice flower design as more than just a hobby. Also goes by the name AIFA offers very detailed and advanced courses and training for anyone wishing to make a career in the art of designing flowers. They offer new and exciting courses that will definitely make a student stand out a notch above the rest once they have completed the course. 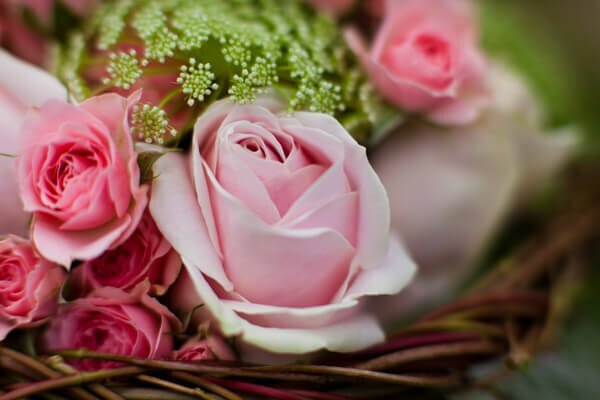 The school is located in the state of Denver and Albuquerque and runs a detailed curriculum that can be beneficial to a basic leaner or someone who wants to pursue an advanced course in flower design. The school also runs a home study program. The school is located in Memphis Tennessee and offers basic training as well as advanced courses to prospective students. The course covers how to care for fresh flowers and guidelines into the business of running a flower shop.